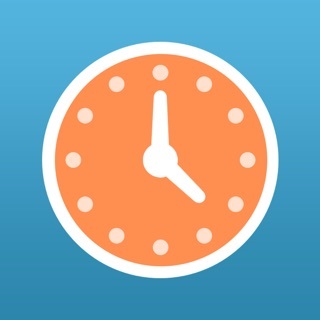 TimeClock turns an iPhone, iPod Touch, or iPad into a timekeeping device for tracking and reporting multiple employee's work hours. It works where all employees are clocking in and out of the same device. "Instead of paying several hundred dollars for an old school time clock, I went out and bought an iPod and had TimeClock up and running in less than an hour." - Andy C.
"I just wanted to say what a great job you did on this program! I have purchased every single time clock app in the apple app store and none of them come close to yours." - Kenneth W.
"I really think this app is great for its purpose." - John T.
"We love the app." - Steven B.
I use this app daily. It has saved me lots of money. In the past, as a contractor, my guys would drive directly to the job sites and keep their own times. Now, they text me when they arrive and leave the job. Has eliminated rounding to the next hour be the employee. Support has been great as well. Only had one sync problem between my Iphone and IPad. Developer solved that right away. November 2017...Just wanted to give an update on this app. I can’t say enough about the developer Jason and his quick and prompt response. Anytime and every time which are far and few between that I have a problem he is prompt to fix the issue within an hour or so. This app is probably the best 10 bucks I’ll spend every month. I run my payroll hours with it and it makes the job so much easier. After the app updated a few days ago I’ve had nothing but trouble. We can’t clock in if the iPad is in landscape, the clock in/out options don’t appear. We can no longer edit time punches either so since my staff count clock in we’ve been writing things down manually. We stumbled upon the fix of switching to portrait to clock in. Which happen after we deleted the app and reinstalled which deleted all data. But it’s pointless now because we can’t add the punches from this week and our iPad is usually bolted to the desk in landscape mode. Hello, we are very sorry for this inconvenience. Given the changes to the iOS operating system we were forced to make some significant changes to our system infrastructure, which resulted in some bugs that made it into the App Store. We’ve since made the full transition to our new and more secure system, and have established tighter quality assurance internal processes to alleviate down time and bugs moving forward. This new system will also allow us to be more nimble and improve the app at a faster rate. To access a free 30-day trial of the new system for your troubles you can visit our website (www.timeclocksync.com). If you have additional issues please email us at support@timeclocksync.com or call us at (971) 249-2153 and we’d be happy to assist you. I get SSI benefits and work retail part-time. And I can only receive a certain amount a pay period month. This helps track my hours better so I don't go over. The only thing is that it's hard to calculate the federal holidays that we get paid more on. Would love to see a holiday pay option to calculate those hours better. But other than that I love this app and wouldn't dare find anything else. Requires iOS 11.0 or later. Compatible with iPhone, iPad, and iPod touch.